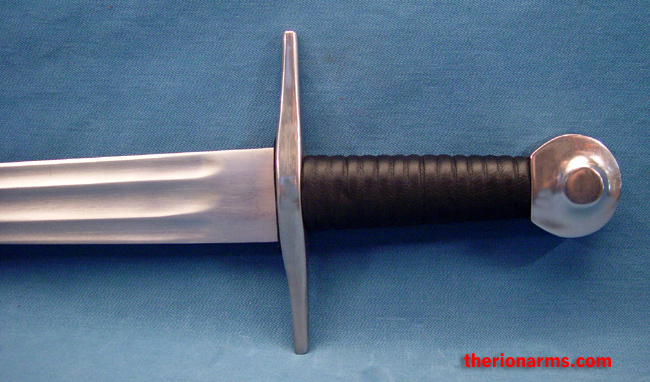 This is the fourth generation version of the Paul Chen/Hanwei practical series arming sword (also known as the "practical series knightly sword"). The first generation had a flat fullered blade and an overly thin tang. (No pictures available, TherionArms did not offer the original version). The second generation, which has been immensely popular with Western martial art students and film, stage, and "live steel" combatants, had a wide fullered blade and the tang was beefed up, making it a lot more durable. 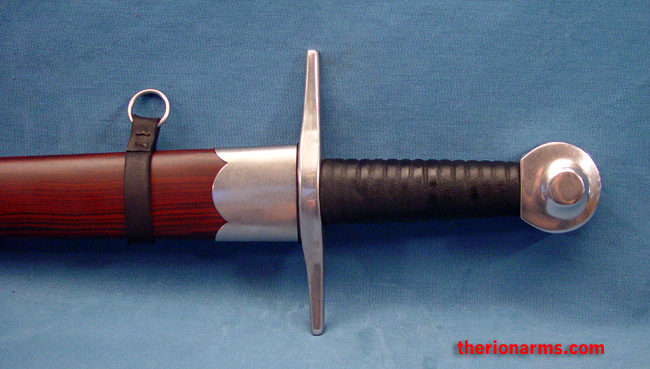 Pictures and descriptions of the second generation sword are available here. The third generation blade featured the same beefy tang as the second generation, with an even better blade. 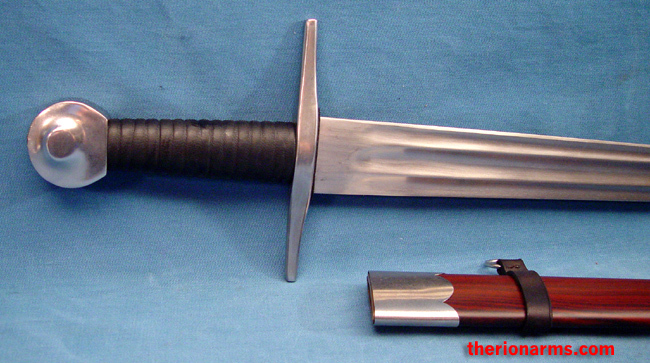 Pictures and measurements of the third generation sword are available here. The fourth generation features the same beefy tang as the second and third generations, with a lighter triple fullered blade with rounded edges and a rounder tip for full-contact safety. 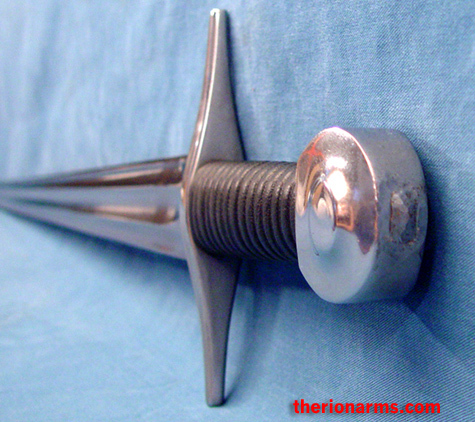 The grip has been ribbed (for your pleasure!). 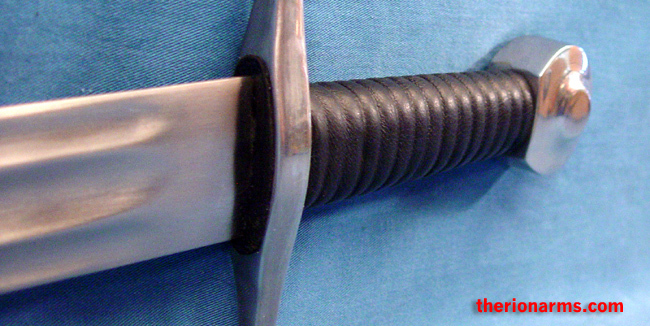 The scabbard is a fiberglass epoxy resin, with suspension hangers for wear. If you're looking for the ultimate combination of price and functionality in a training or combat performance art single handed blade, this is the sword for you.